Backed by over 25 years of extensive winter driving, our seasoned drivers provide safe, high-quality and affordable Denver to Vail/Beaver Creek Limo service to some of Colorado’s most desirable mountain locations. Limo Denver is the premier choice for all your Colorado transportation needs. We offer Denver Airport Limo Service and Party Bus Limo Service to Downtown Denver, Boulder or Red Rocks; plus Luxury 4WD SUV and Mercedes Sprinter limo service from Denver to Vail, Beaver Creek, Breckenridge or Aspen. Limo Denver has a Better Business Bureau A+ Rating. We offer Denver Limo Service and Party Bus Limo service to some of Colorado’s most desirable locations including Downtown Denver, Boulder, Red Rocks, Vail, Beaver Creek, Breckenridge and Aspen, Colorado. Our 24/7 Limo Service in Denver Colorado will make it easy to arrange exactly what you need from our Denver Limo fleet. 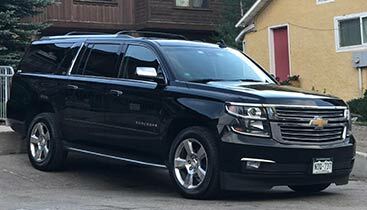 We offer Denver Airport Transportation and Local Limo Service from anywhere in the State of Colorado with our ‘Private Luxury Denver Car Service’. Limo Denver is proud to be Better Business Bureau Accredited with a BBB A+ Rating. Please contact our customer service service team on (phone number) to set up your next Denver Airport Limo Transportation, Denver Party Bus Limo Service or Mountain Shuttle Transportation from Denver to Vail, Breckenridge, Aspen or Beaver Creek . At Limo Denver, we specialize in offering comfortable, luxury vehicles driven by professional, reliable drivers. We’ll get you to and from all of your Colorado destinations in style and on time! Transportation from Limo Denver is safe and provides high quality and affordable journeys to many Colorado destinations including Vail, Beaver Creek, Boulder, Aspen/Snowmass, Breckenridge, and more. Whether you’re traveling for business or pleasure, trust Limo Denver to get you to and from Eagle Vail Airport and Denver International Airport promptly and courteously. Need more reasons to hire us for Denver Limo services? Here are the top 5 reasons why you should. We never compromise on the safety of our clients. All limos on our fleet are equipped with the best in class safety mechanisms like ABS, air bags, seat belts as well as head rests. Also, all drivers on our team are trained and instructed to drive the limousine extremely carefully especially in the rocky terrains of Colorado. We have curated one of the most high-class fleets of limousines for our clients. These cars will help you travel in style and comfort. The cars are equipped with the best infotainment and comfort systems to make your travel comfortable and fun. Do not want to deal with sleazy car drivers? Contact us right away! We have some of the most effective and professional drivers on our team. They can easily drive for long distances. These Denver limousine drivers can act as a fun tour guide while taking you across Colorado. The drivers respect your privacy and act accordingly. We often serve corporate clients. So, the drivers are trained to drive safely and quietly while you work on an important presentation for the upcoming meeting in the backseat. The best part about hiring our Denver limousine services is that you will never be late for an important meeting. The drivers on our team are extremely punctual and know their way around Colorado very well. Also, the cars on our fleet are equipped with high-tech navigation systems to help the drivers navigate the course quickly and effectively. Our Denver limousine services can take you anywhere across Colorado. ©2019 LimoDenver.com All rights reserved.